The median house price in the ACT increased by 30.2%, with units increasing by 3.3% over the past 5 years. 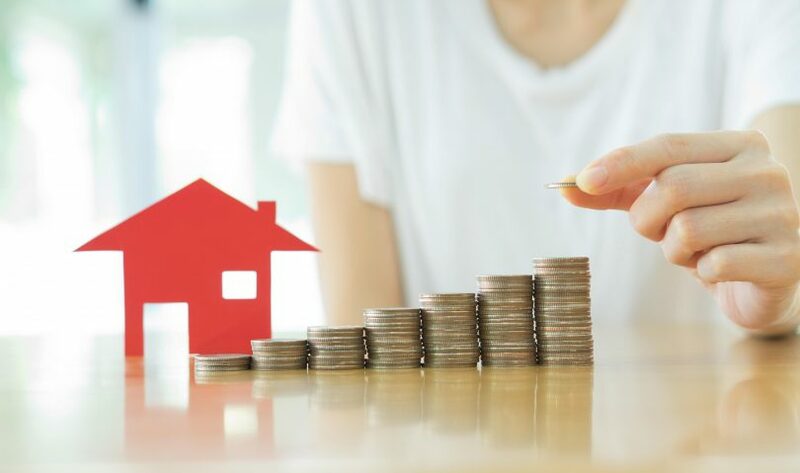 According to a new report from RiskWise Property Research, the ACT is becoming the place to be for investors seeking a property market that delivers long-term capital growth and a solid rental return. Canberra’s consistently strong job market, and equally consistent population growth, continues to fuel a healthy housing market. And as markets in Sydney and Melbourne begin to correct and flatten out, Canberra is fast becoming the ideal place to invest. Bryan Dacey, Mobile Relationship Manager for Canberra Community Bank Group, says that a number of recent industry reports show all signs point up in the Canberra housing market, which is great news for current and prospective investors. “In all my years here in the banking industry in Canberra, I’ve rarely seen property prices be negative. It’s a very strong market, with good rental returns,” he says. “The CoreLogic Home Value Index report shows for the past 12 months the Canberra housing market experienced gains of 3.2%. Their forecast for Canberra over the coming months is fairly steady moderate growth”. But, while the housing market in the ACT is healthy, units (especially those bought off the plan) haven’t had the same level of growth. This is mostly due to an anticipated rise in availability of 8.1% over the next two years. In many markets, this would usually mean it would be considered high risk, however our unprecedented demand for units is expected to blunt the effect. “Over the past five years, the median house price in the ACT has increased by 30.2%, with units increasing by 3.3%,” Bryan explains. According to Domain’s State of the Market rental report, Canberra is an expensive place to rent because people can afford it. The nation’s capital has one of the highest average weekly incomes in Australia, which drives high rental returns for investors. According to Bryan, the December 2017 quarter showed rental yields for units at 5.8% and houses at 4.37% – the third highest in the country. “There are a couple of options for investors – they can buy a house and lease privately or go through the Defence Housing Australia (DHA) scheme, which assures them of rent over a long lease period. Given that it’s a public service town, we always have new people coming in, which keeps the rental market ticking over,” says Bryan. If you’re thinking of purchasing an investment property, you should speak to your accountant about your plans and the benefits of negative gearing. Many prospective investors have a lot of equity in their own home and can use that to purchase an investment property. “If you have enough equity, you can advance as much as $400,000 and factor in depreciation, plus all the costs associated with the purchase. You may then be able to claim it back as a tax deduction,” Bryan explains. “If you have enough equity, looking at the history and the forecasts, purchasing property in Canberra is a safe bet”. To chat with Bryan about equity in your home, or for more information about property investment, call him on 0435 532 740. It is mentioned that home units bought off the plan in Canberra are not sharing the general “prosperity” of the investment property/rental industry in our city. It is noted that the Jardin SouthQuay residential 569 apartment development in Greenway (currently a large hole in the ground) was advertised for sale in the CT last weekend. There have been 196 units of the 237 unit stage one sold – no pre-sales are mentioned for the balance of the 332 units to be constructed in later stages. I don’t believe there has been anything in this category ever being offered in Canberra before so it is surprising not to see some reporting elsewhere. It is also noted that the ATO has issued a directive, effective from 1st July 2018, that GST is to deducted from settlement proceeds of all new residential homes and remitted direct to them. Currently, the responsibility for collecting and remitting the GST to the ATO is the responsibility of the vendor. It is generally known that the ATO is going to introduce collection of all GST at the point of sale (a great concept) however they have given no reason as to why it is being brought forward to home sales only at this time. If I were a cynical person I would suggest that the ATO wants to avoid a situation where millions of dollars in GST may be “lost in transit” due to development companies not being able to meet financial obligations.